How might we understand the culture of our new school using the science lab as an example? How might we design something to help a specific body system of a refugee work better while they are traveling to or living in a refugee camp? How might we empower our students to design an event that will allow them to showcase both the processes and the products of their GlobalScience experience? Students mapped the science lab and described its culture. Students developed their own questions and sought answers in interviews, online, and in our yearbooks and other publications. Students were confident in defining culture and applying it to each of their classes, their families, the South, the characters in A Long Walk to Water, schools our global penpals described to us, and the countries and regions we studies in Asia and Africa. Time did not allow for us to map the entire campus the way we had hoped to. 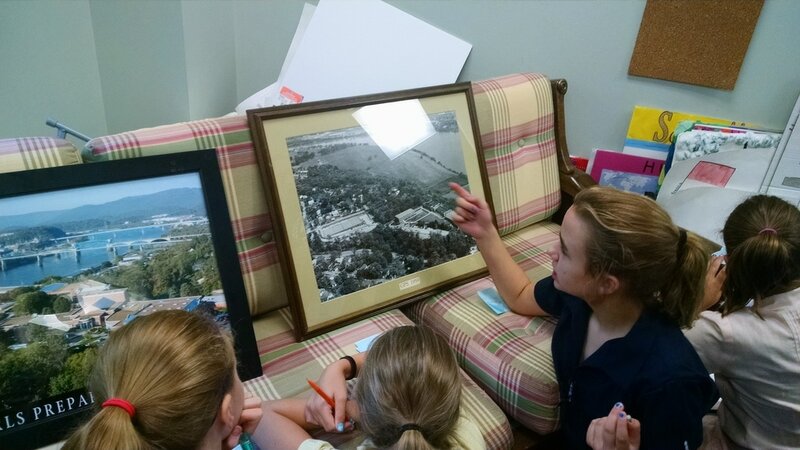 The most valuable part of the activity turned out to be the conversations with alums who came from a 60 year range of our school's history​. 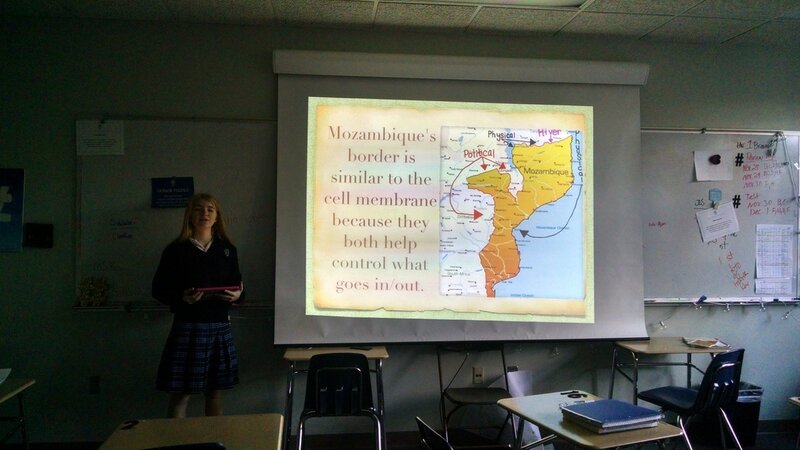 Students stretched themselves on research and presentation type. Students began learning how to create an effective presentation. 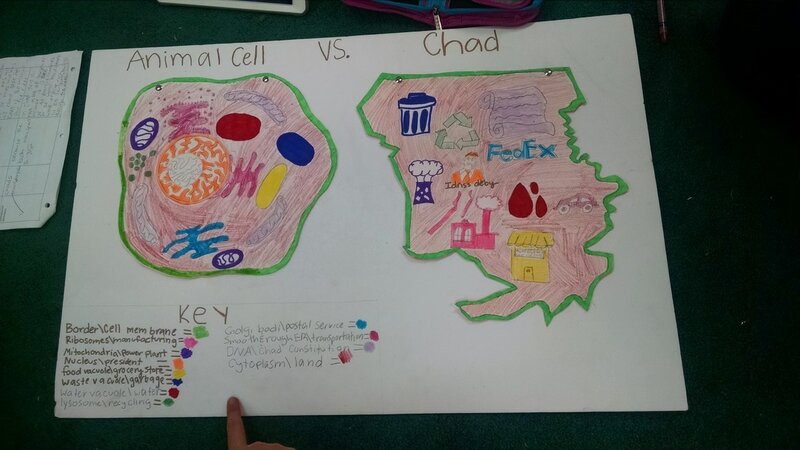 Students showed how a cell and its organelles work together to help the cell work efficiently, as well as, how parts of an African country are formed to work together for its citizens. Students reflected and self assessed their learning. Students began to develop an empathy for those that are different from themselves. This was done at the end of a semester which was challenging to grade before the semester break, due to each student doing an individual project and a looming deadline for report cards. Students made unique connections that were not predicted by the teachers. More time was needed to front load information about the countries. 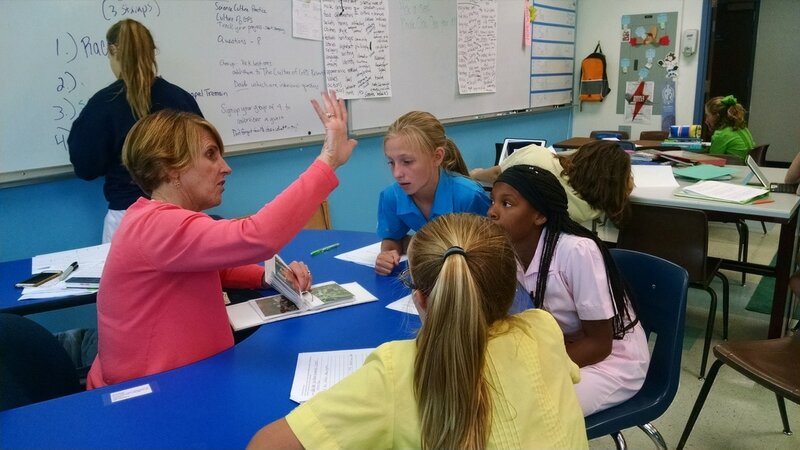 Students conducted research about the refugee experience traveling to and living in refugee camps. In groups, students chose a particular body system as their focus. 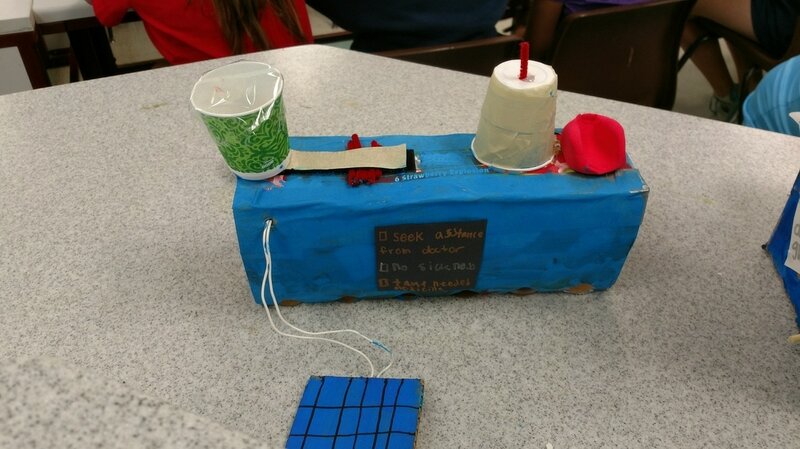 Students designed prototypes that would make a refugee's body system work better. Students informally shared their prototypes with adults on campus for feedback. Students presented first to their classmates and teachers and then presented their fine-tuned prototypes to a panel of judges from outside our classroom. 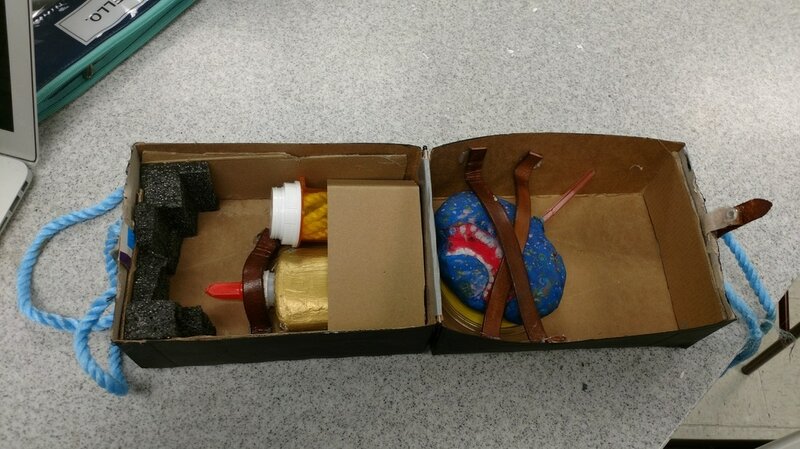 The process and products that resulted became the centerpiece of our Global Science Showcase at the end of the year. I wonder if we can provide more student choice by more broadly defining their user. Perhaps instead of just refugees they would want to look at other groups experiencing movement or living away from home like migrant workers, Peace Corps volunteers, overseas NGO workers, those in Space, or the Military. To avoid oversimplification of the refugee experience, students need to be given a broader range of teacher collected resources to examine. We need to begin work on requesting panelists earlier in the process to diversify the pool, as well as, extend our reach outside of Chattanooga through the use of technology.